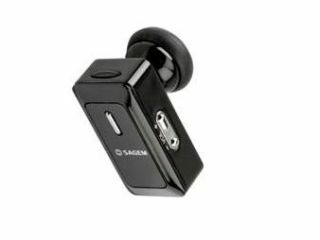 French mobile maker Sagem today launched what it claims could be the smallest Bluetooth hands-free headset on the market. The Sagem H4 measures a miniature 35(l) x 18(h) x 12.5(d)mm and weighs 9.5g. This gives it a smaller overall footprint than any other Bluetooth model. The device is compatible with most Bluetooth mobile phones, and can be programmed to store two favourite numbers which can be called at the touch of a dedicated 'Favourite Phone Number' button. The Sagem H4 cost 79 euros (£51) and is available now.